Transform your business with Microsoft's award-winning ERP + CRM software and our award-winning team. 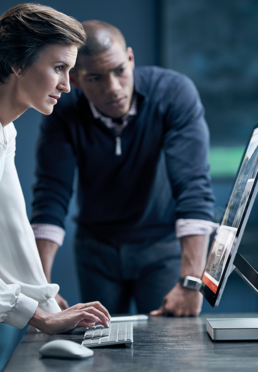 Transform your business with Microsoft's award-winning software and our award-winning team. Manage your business, from financials to inventory and operations, from anywhere at anytime, with Microsoft Dynamics GP. Empower your organization with tools, from secure business-class email to collaboration and virtual telephony. We are experts in helping companies implement, manage, and extend Microsoft Dynamics 365 and Dynamics GP. We can help you identify and purchase software that is a fit for you and your organization. We assist companies to design, configure, and support their business-critical applications. We're experts in connecting multiple applications and customizing them to meet your unique needs. Bond Consulting Services has cultivated deep expertise in the implementation of Microsoft Dynamics and Dynamics 365 to streamline your business operations for greater profitability. How will you lead digital transformation in your organization?